Remember a year ago, when I went to a free concert and inadvertently ended up watching six-year-olds play the piano? Well, today I actually got it right. I’ve been missing my old habits so decided to scour free events and came across a concert by Juilliard organists near Times Square. Sorry to say it, but I’ve never really got the organ. Yes they’re beautiful and grand – but they can also sound so haphazard and sinister. They put me back 10 years to the end of mass and the start of physics class, and it doesn’t get much more sinister than that. But I thought I’d give it a go, believing that if anyone can convince me the organ is melodic, it’s the Juilliard geniuses. 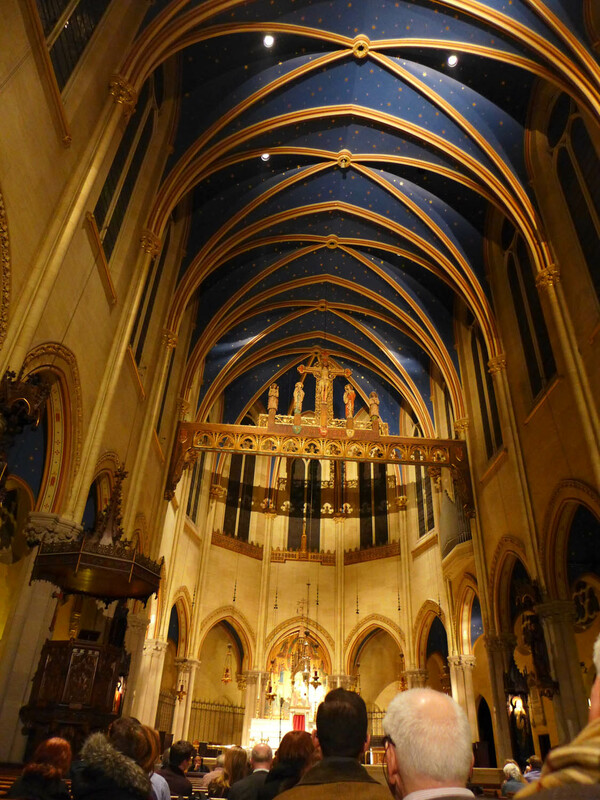 The concert was held at the Church of Saint Mary the Virgin on 46th Street, just half a block from Times Square. You’d never believe it was just yards from such madness. 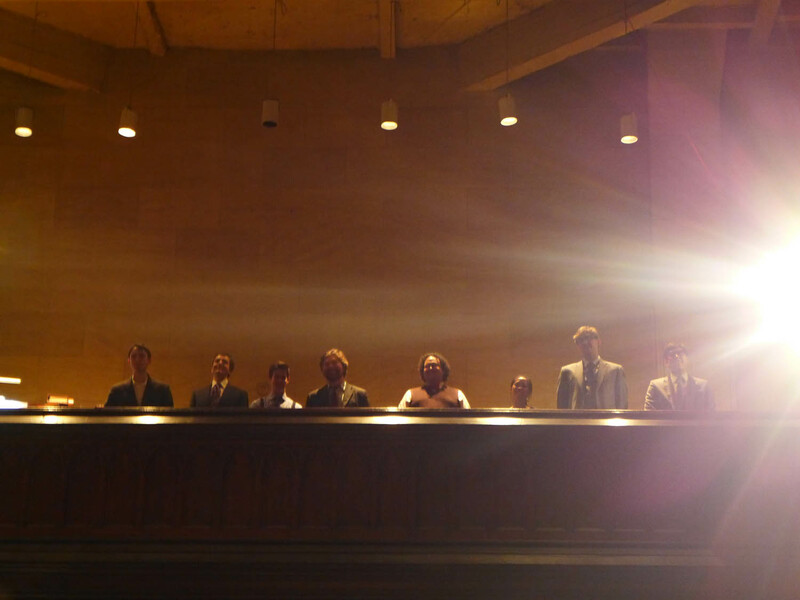 Eight organists performed as we perched in the pews. Some were undergraduates while others were master’s students, but they all had very, very impressive resumes. 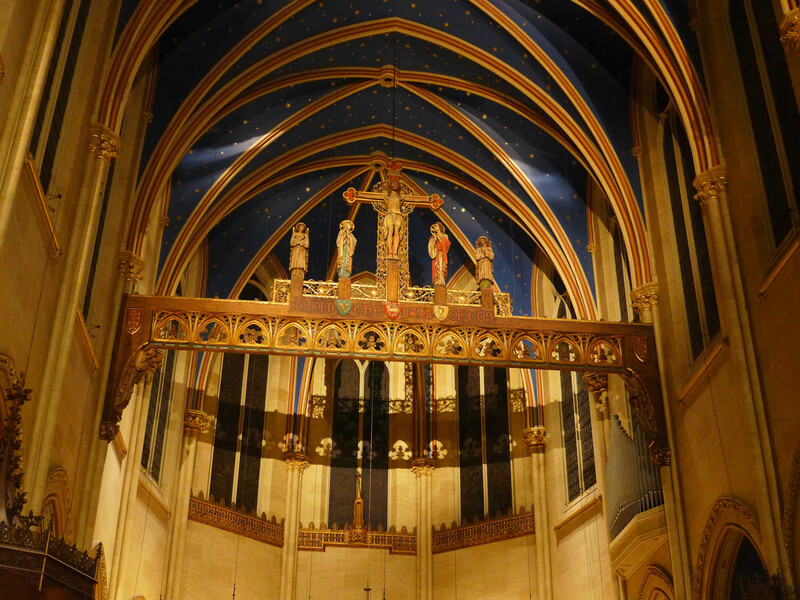 One, Raymond Nagem, is a scholar at one of my favorites – the Cathedral of St John the Divine. Of course, I quickly learned that the organ is far, far more versatile than I thought. Some of the pieces were gentle and lilting, while others were just as heavy as I expected – but also really nuanced. I couldn’t believe all of the different sounds and tempos happening at once. Sometimes I had to convince myself there wasn’t a xylophone or reed instrument playing in there somewhere as well. I guess if you’re the only instrument on stage, you’ve gotta have it all. This concert was also interesting because, unlike any other recital, the musician was largely unseen by the audience, and likewise, he didn’t have to look at us staring at him. Towards the end of the concert, I noticed that there was a large mirror propped up by his music, presumably to look for us, or for when he was required to play during a service. But craning around to look at him play the whole time was both uncomfortable and unnecessary. So instead I looked to the stars as I tried to fathom the music. 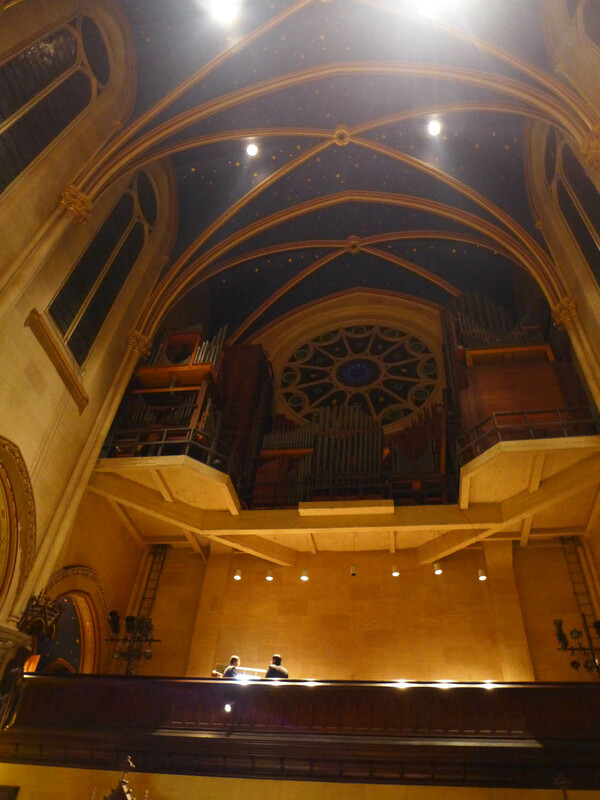 The concert made me realize the organ can be far gentler than I thought. So thank you, Juilliard. I’d choose the sounds of the organ over the screeches of Times Square any day. 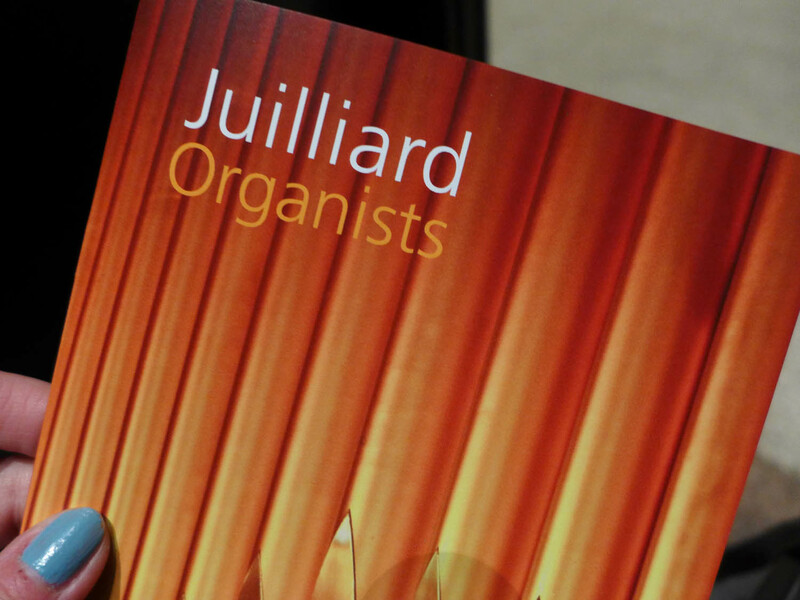 For more information on Juilliard’s free concerts, visit their calendar. 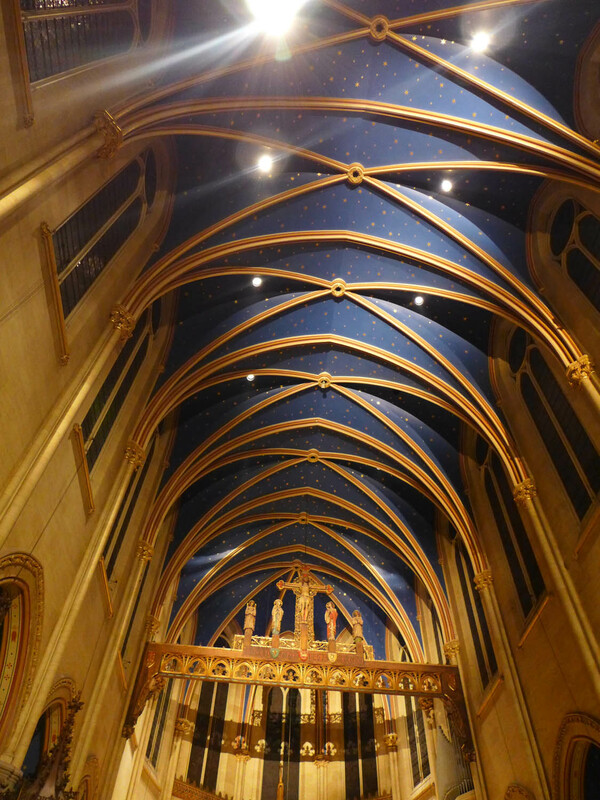 I love a concert in a cathedral, the sound is amazing. 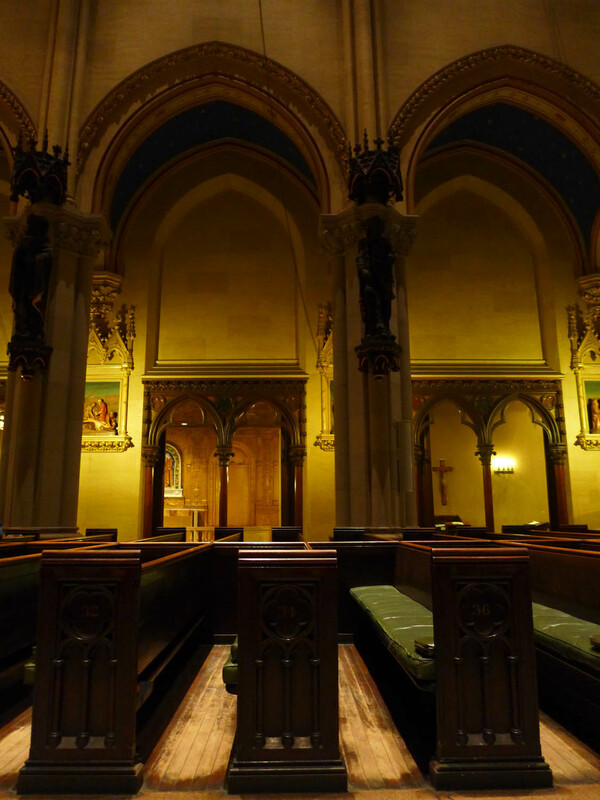 I love that you love St. John the Divine so much- I used to go on a program where you could stay there overnight when I was in high school… I did it a few times. Funny how something that was important in my life when I was 14 is now important in your life when you are 28!